Arsenal will reportedly be without playmaker Henrikh Mkhitaryan when they travel to face Qarabag in their Europa League clash on Thursday. The 29-year-old has been in decent form to start the season, scoring one goal and providing three assists in seven appearances thus far. 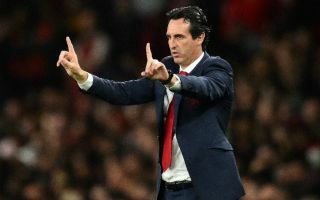 With Arsenal looking to compete on various fronts and as they enjoy a morale-boosting winning streak which now stretches to seven games in all competitions, the last thing Unai Emery wants is to be without key players available for selection. Unfortunately for the Spanish tactician, that’s exactly what he’s got on his hands with Mkhitaryan as ESPN report that the Armenian international isn’t expected to even travel to Azerbaijan due to ongoing conflict between the two nations. It’s noted that the attacking ace would require a special permit to enter the country as it has banned Armenians from entering their borders, but it’s claimed that Arsenal won’t bother going through that process and will err on the side of caution. It does seem like the right choice for Mkhitaryan’s safety, as well as the fact that Arsenal have an abundance of attacking quality in their squad and should be able to cope with his absence. With that in mind, the touted decision makes sense, and the player himself will surely use the midweek rest to his advantage to be as fresh as possible to make his case to start against Fulham at the weekend. Arsenal got off to a winning start in the Europa League against Vorskla last time out, and they’ll be hoping to take another step towards qualification for the knockout stage with a win this week.